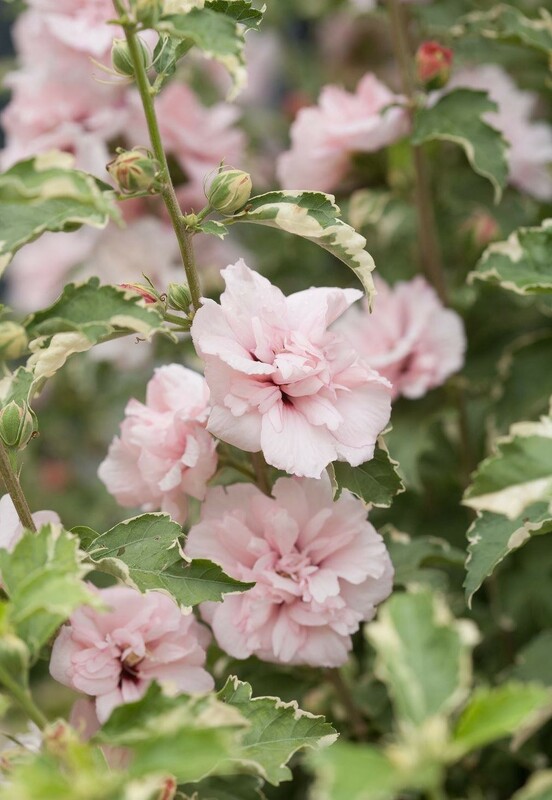 Hibiscus Sugar Tip is a brand new, eye-catching Rose of Sharon with brightly variegated creamy-white and bluish-green foliage. Unlike 'Purpureus Variegatus' this beauty actually flowers! It produces loads of clear soft pink, double flowers and does not produce seed like older cultivars, which means it just keeps on blooming from mid June until the leaves fall in Autumn. 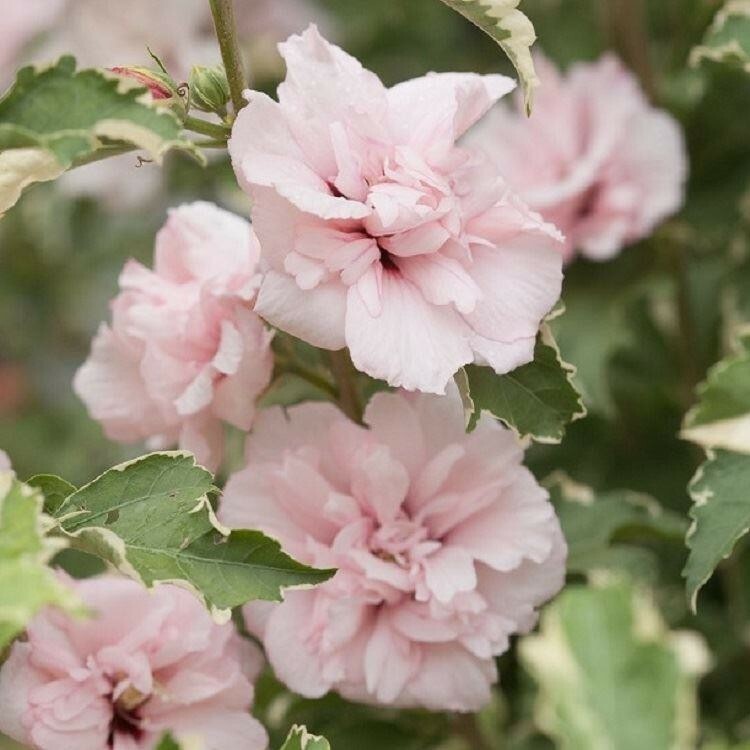 This beautiful plant will look great in your garden all summer, it is slower growing and more compact than other Rose of Sharon meaning this Hibiscus is perfect in a patio planter, or in the garden. Supplied in approx. 3 litre containers.